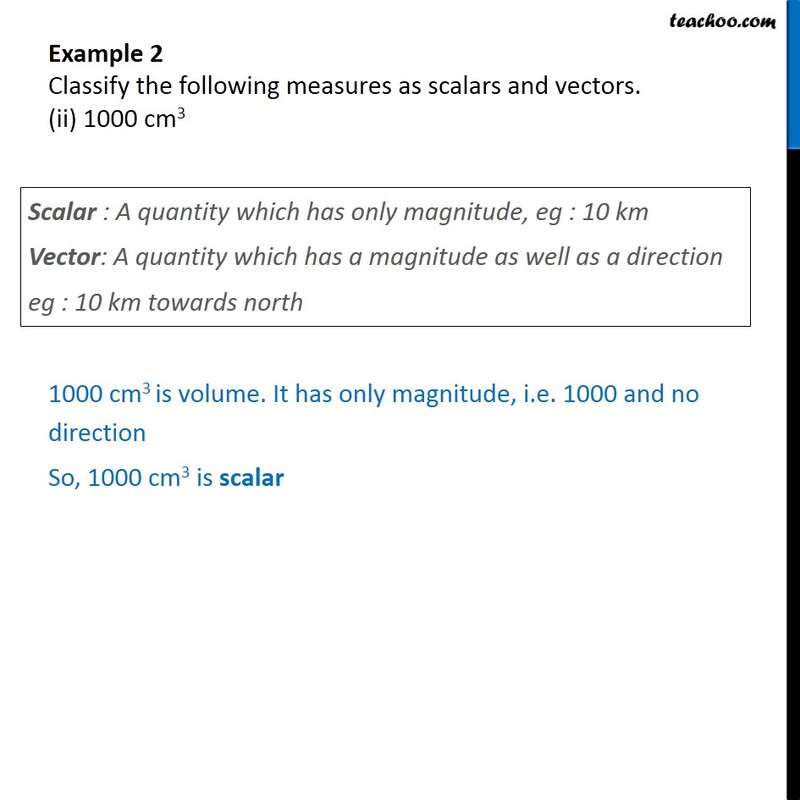 Example 2 Classify the following measures as scalars and vectors. (i) 5 seconds 5 seconds is a time period. It has only magnitude i.e. 5 and no direction. 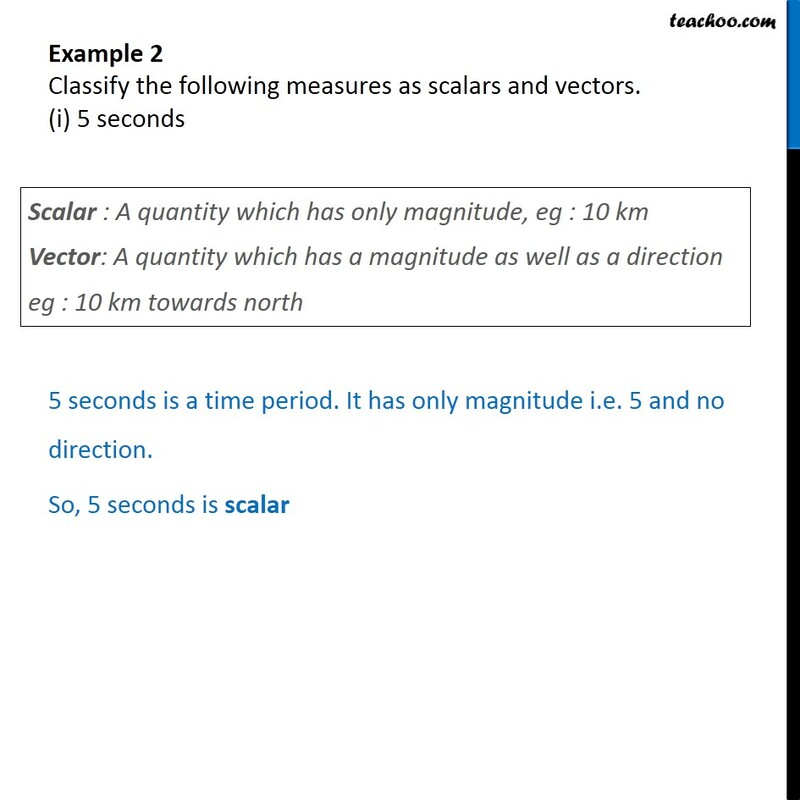 So, 5 seconds is scalar Example 2 Classify the following measures as scalars and vectors. (ii) 1000 cm3 1000 cm3 is volume. It has only magnitude, i.e. 1000 and no direction So, 1000 cm3 is scalar Example 2 Classify the following measures as scalars and vectors. (iii) 10 Newton 10 N is force applied It has magnitude, i.e. 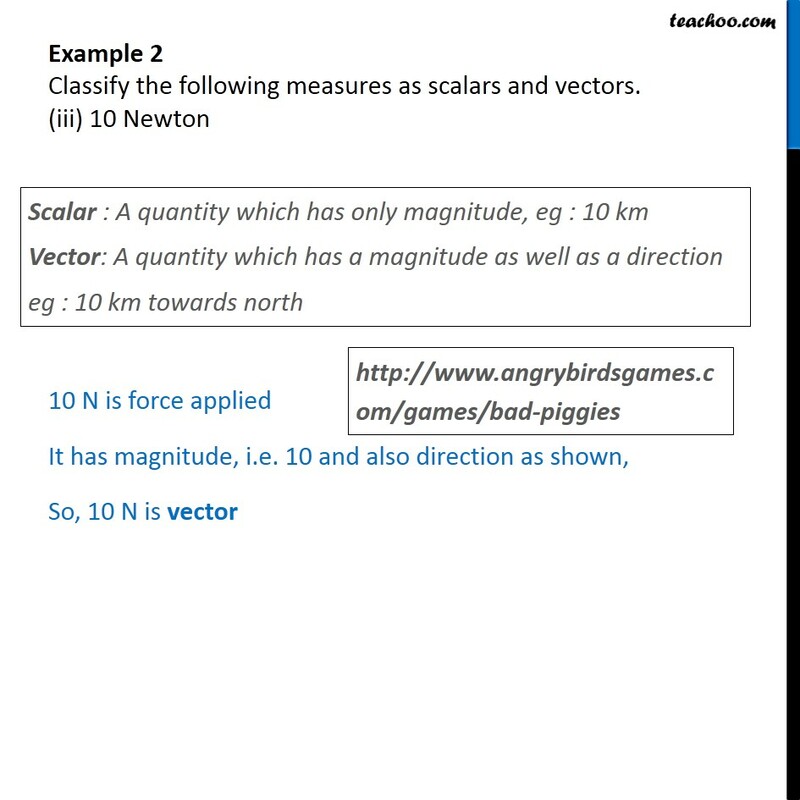 10 and also direction as shown, So, 10 N is vector Example 2 Classify the following measures as scalars and vectors. (iv) 30 km/hr 30 km/hr is speed It has magnitude only, i.e. 30, and no particular direction. 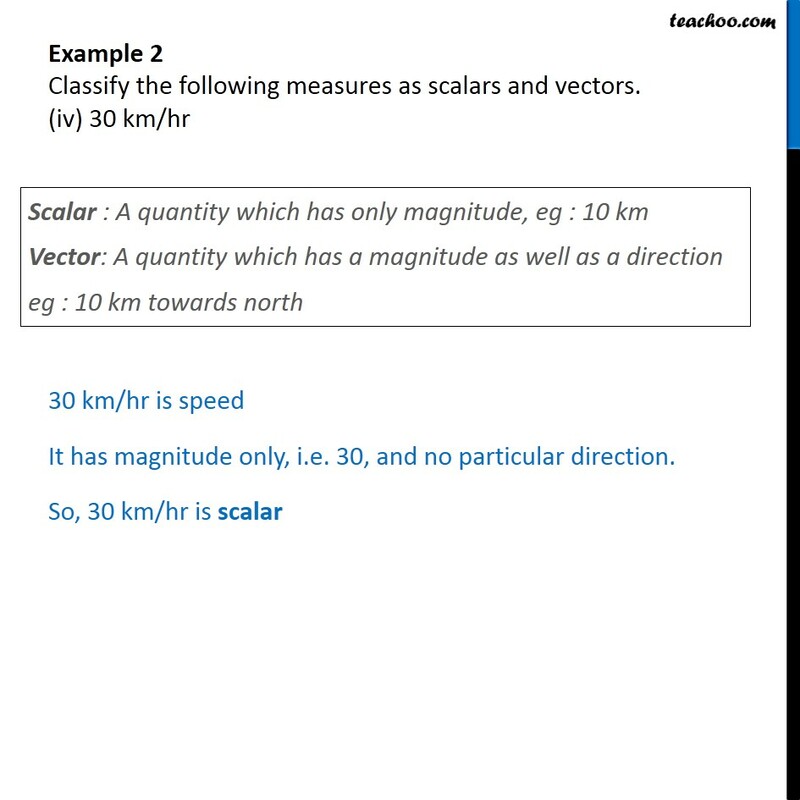 So, 30 km/hr is scalar Example 2 Classify the following measures as scalars and vectors. (v) 10 g/cm3 10 g/cm3 is density It has only magnitude, i.e 10, and no direction. 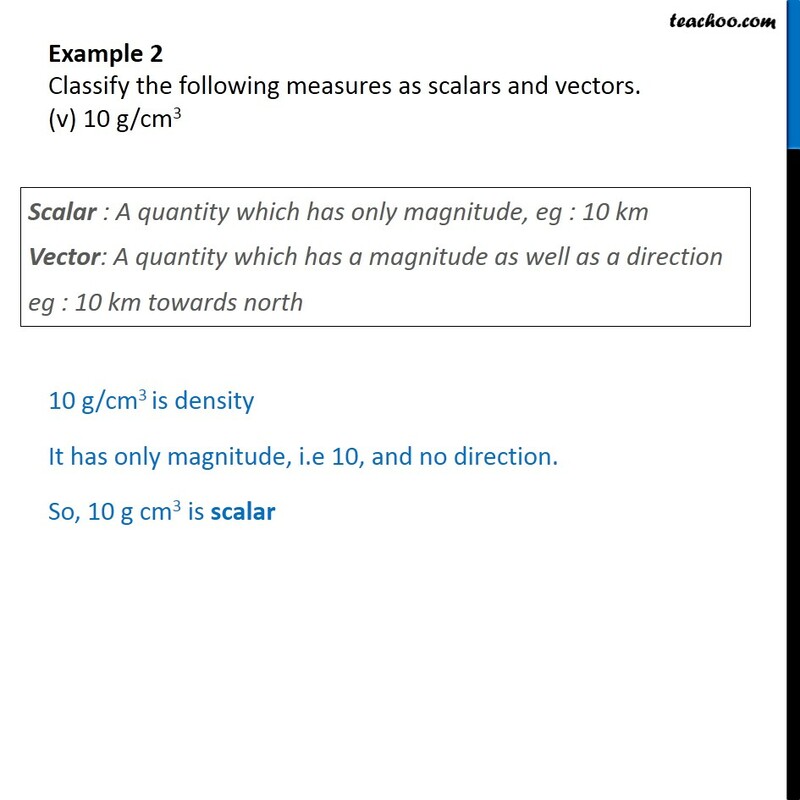 So, 10 g cm3 is scalar Example 2 Classify the following measures as scalars and vectors. 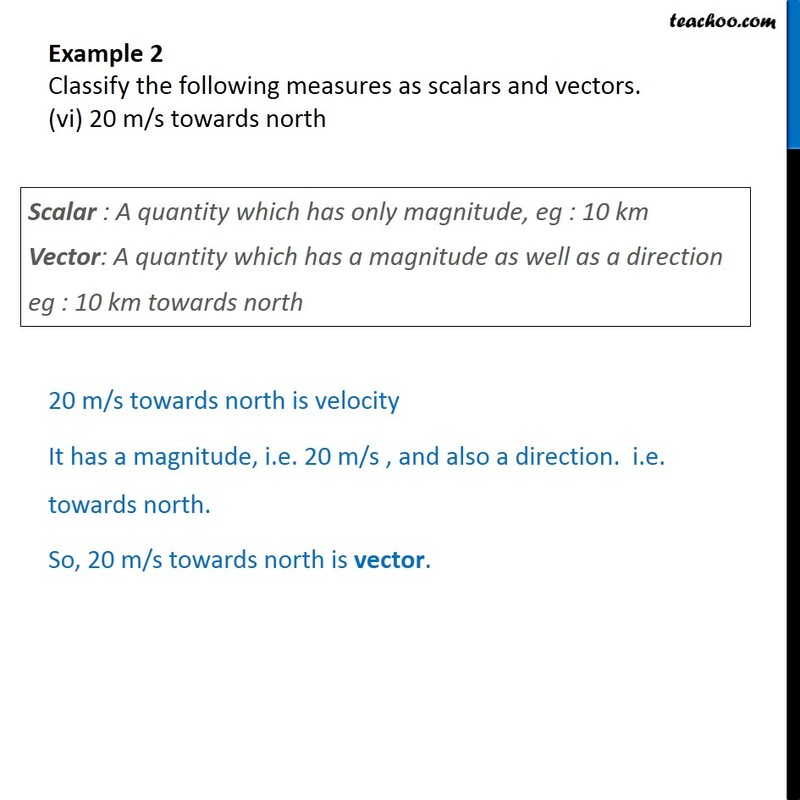 (vi) 20 m/s towards north 20 m/s towards north is velocity It has a magnitude, i.e. 20 m/s , and also a direction. i.e. towards north. So, 20 m/s towards north is vector.